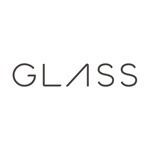 Today Google Glass got its awaited update to XE 10 (explorer edition 10), and it looks like the system image is already up for grabs from Google's developer site. For those who missed our earlier post, XE10 brings transit directions, the ability to click links in notifications, and new visual flare by way of profile photos embedded behind messages or comments. If you want to grab the update, you're looking at a 343MB download. It's also worth noting that Google's removed previous system images today, since there's a significant "firmware change" with XE10. Google warns "flashing back to an earlier build might brick your device." As always, Glass system images aren't for everyday explorers, but those looking to gain root shell access and flash their wearable device back to factory specifications. Those interested can grab the download below.